Go to Server Manager -> Roles -> Add Role Services. On the Select Role Services page, select the CGI check box. This enables both the CGI and FastCGI services. 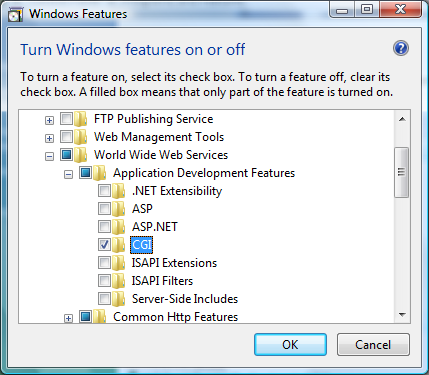 Go to Control Panel -> Programs and Features -> Turn Windows features on or off. In the Windows Features dialog box, select the CGI check box. This enables both the CGI and FastCGI services. Then from Web Platform installer install "PHP Manager for IIS"